So a couple of weeks back we had the small matter of British Pie Week to enjoy, and unsur-pie-singly we had a few pies to celebrate this momentous occasion! 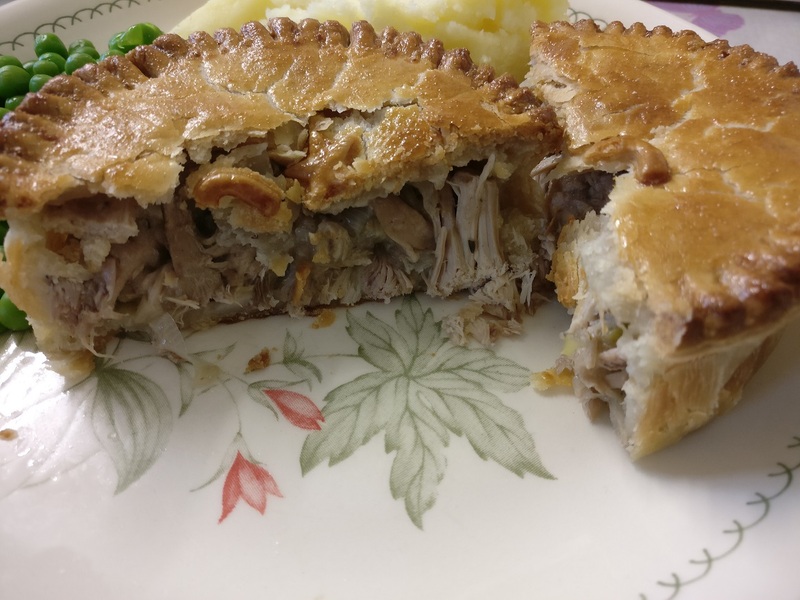 And while we managed to document the pies we got our teeth into via our daily diary articles (see the bottom of this article), now comes the time to write up all our new pies on the world’s leading pie review blog! A pie-light at the end of British Pie Week, enjoyed on Day Six and Day Seven, were the wild game pies that we had from Stanbury Wild Game Pie Company. This is a relatively new husband and wife team producing – you’ve guessed it! – wild game pies. 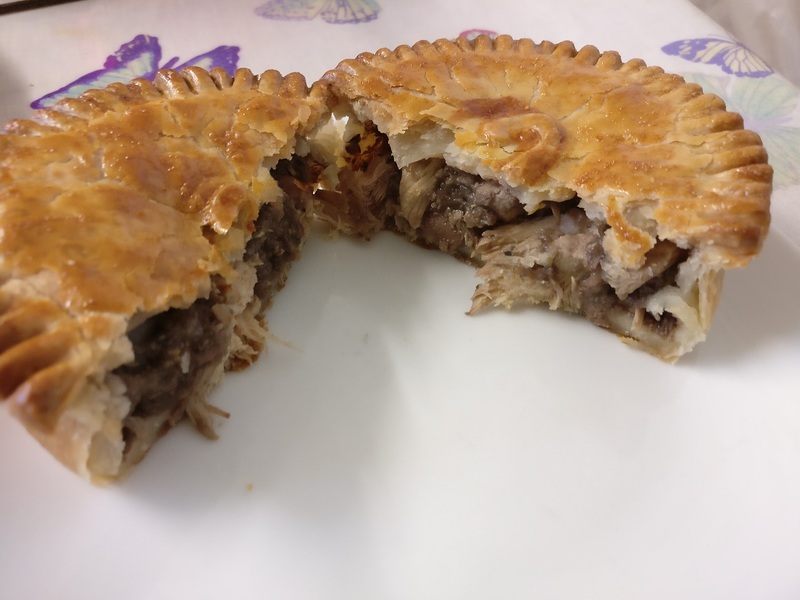 They’ve been making wild game pies for about 3 years now, selling mainly at local farmers markets and food festivals near Exeter in Devon. However this has recently changed with a new online delivery option via their website, so now more people can get hold of their pies! To mark British Pie Week, the owners of Stanbury Wild Game Pie Company arranged to send us six of their game pies – 4 of which we ate in British Pie Week and review below and 2 of which we froze to eat soon. The pies we review below are the Venison and Mushroom, Mixed Game, Pheasant and Cider and Rabbit and Squirrel pies. 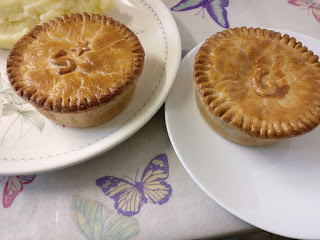 Each of them sell for £3 on market stalls or £3.50 online (apart from the Rabbit and Squirrel pie, which is £3.50/£4). As with any wild game pie, you’ve got to be careful to look out for small bones or leftover shot, but I’m pleased to say all four were fine in this regard, with no fat left on the meat either. This is a great sign of a company who take care of their produce and only want to provide the best pies to their consumers. The pastry was good – especially the crisp golden pastry on top of the pie, even if the side and base were a little paler and less crisp on them all. But all in all, not bad at all. Certainly a combo I’d not tried before – I think I had only consumed Pheasant within a mixed game pie before this one! And there was a good amount of meat too, with no criticism there! The cider added an interesting flavour to the mix, fortunately not making it too sweet in the process but acting as a nice balance to the pheasant’s meat flavour. I’d certainly recommend this pie. The pastry, as with all of them, was lovely and crisp on top and looked beautifully golden. Besides the meat the filling was more thick sauce than gravy, an interesting consistency, but balanced the pie well. Venison pies, understandably, are a lot more common nationwide than some of the other wild game pies on their menu, however they have done a good job of providing a lovely venison pie here. 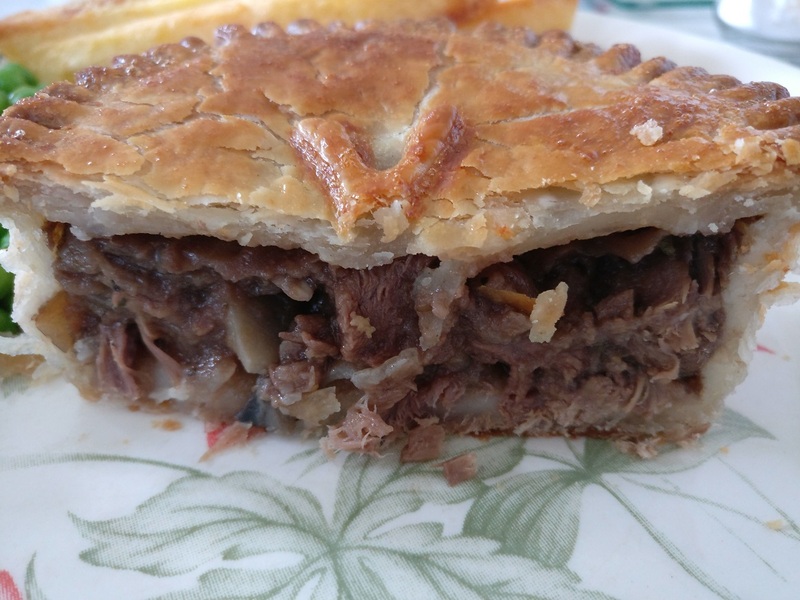 While I personally wouldn’t go for a venison and mushroom option over a straight out venison pie – and also would prefer a gravy rather than a thick sauce – when putting my personal preferences aside this was a nice pie and I still enjoyed it. The pastry (especially the lid) was nice and crisp and complemented the meaty content well. While I have to admit I was more excited by the other (more unusual) flavours, it’s encouraging to see them doing the slightly more regular flavours well too! Like London buses, you have your first pie with pheasant in for a long while, and then a second comes along slightly after! This time the pheasant was in a mixed game pie also containing venison, partridge and pigeon! And we also found out on the Friday before we ate it that this pie was the Class winner at the British Pie Awards for best speciality meats and game pie 2018! As for the pie itself, it was crammed full of lovely, tender meat. 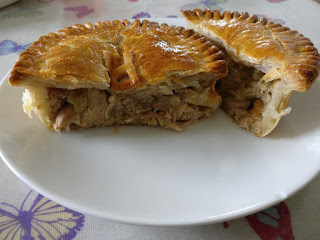 The moist succulent filling balanced well with the crisp pastry and it was an unusual mix of flavours rarely seen all in one pie. I can see why this rated well with the judges at the British Pie Awards! Of course both rabbit and squirrel pies are pretty unique (although we have tried both individually), this was the first time we were rating them in combination. And I certainly enjoyed the meat mix! Not your usual combo but one for your dinner guests to talk about! Personally I’m not sure I’d choose to pay more to have a rabbit and squirrel pie over the rest of their wild pie range but interesting flavour mix to give people the option if needed. All in all, some unique meat flavours in there and some top rated scores, particularly the mixed game pie which backs up its British Pie Awards class win with a Pierate Highly Recommended pie score! 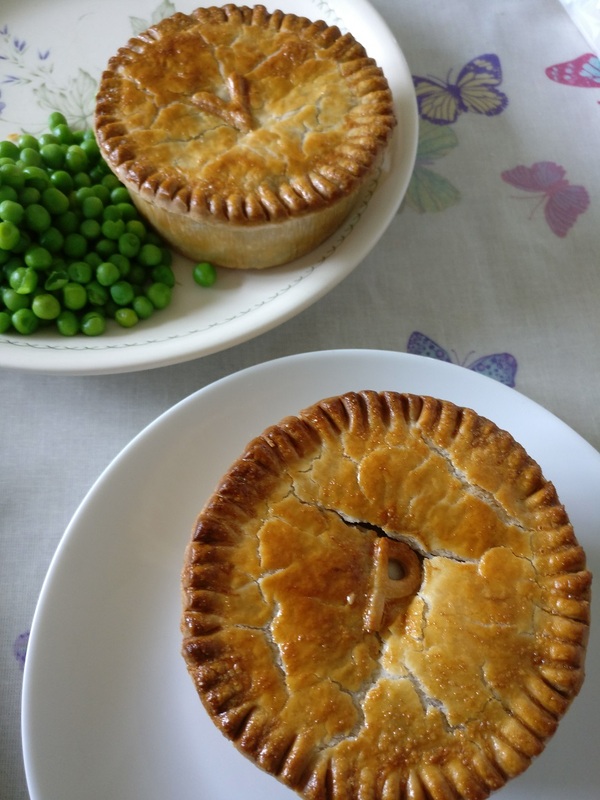 Our thanks to Nel from Stanbury Wild Game Pie Company for supplying us with these lovely Pierate Recommended pies. I certainly commend them to you if you fancy something a bit different from your standard beef or chicken pie!! Birmingham Pie Night celebrated at Pieminister! British Pie Awards 2018 - Live! TV's Radford Family keep delivering the goods!